The month of November has arrived and we are back with another story to inspire you. Sean Brown, known in eYeka as sqbrown, has an unbeatable track record of winning top prizes in all the 5 contests that he has won so far. Together with his wife and his two children, they have a unique style of creating amazing family related content that never fail to impress. Sean Brown has his close knitted team of his wife Chelsea Muse and his two children Adalyn Muse and Tucker Brown. He is the primary filmmaker but Chelsea very often get dragged into the production of his videos. If the project calls for kids, Tucker and Adalyn are the guaranteed stars. Sean has been participating in eYeka contests since 2014, which has helped him to build up his portfolio while earning some extra cash. To him, winning is not everything but it is all about doing what you love and growing as a filmmaker. He hopes that his story will inspire more people to pursue what they love. 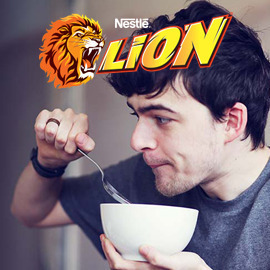 Can you hack Nestlé Lion’s TV commercial, in a wildly fun way? 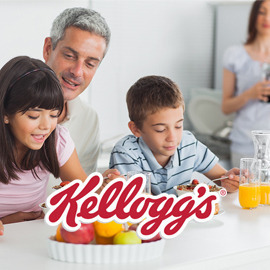 Convince parents they can make a lifelong impact on their children’s health ! 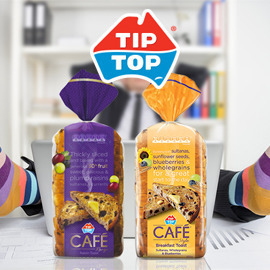 Show us how Tip Top Café brings the “café mood” into your everyday!